Oscar Blandi is much more than a celebrity hairstylist. He also completely understands hair, how it functions, what it needs, how to bring out its very best behavior. He has developed a line of hair care products, using classic and modern ingredients based on the hair care traditions of his native Italy. Now he makes those products available to discerning buyers all over the world. See our Q&A with Oscar Blandi, President & Founder, Celebrity Stylist. His name might be synonymous with Hollywood hair, but Oscar Blandi, and his products, are available for everyone at SkinStore. Adhering to the simple philosophy "In passion, lies beauty," the Oscar Blandi line of products is infused with the founder's passion for creating beautiful hair. After moving from Italy to the United States more than 20 years ago, Oscar Blandi has transformed at-home hair treatments for customers across the globe. Relying on rich botanical ingredients, these products come in a variety of formulations, from smoothing shampoos and conditioners, color-correcting and root touch-up pens, nourishing serums, and more. Celebrity clients such as Jennifer Garner, Jessica Alba, Jessica Biel, and Kelly Ripa have discovered the benefit of Oscar Blandi. Now, you can too thanks to the line available at SkinStore. You might not have time for a red-carpet-worthy blowout every week but that doesn't mean you cannot create Hollywood-quality hair at home. 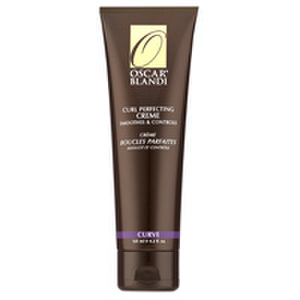 Thanks to Oscar Blandi products, you can discover what healthier, more beautiful hair truly is. These products fit well into your daily hair care routine, whether you're a daily washer or prefer to skip a day and work with second-day hair. The Oscar Blandi brand has the potential to transform your look and give you that celebrity-worthy hair you've only dreamed of until now. Explore the product line to discover just how these products can shape your overall look. You'll be pleased with the beautiful tresses created by Oscar Blandi's exclusive line of products. Your hair changes in its appearance over the years, losing its brilliant shine, turning dry, and becoming brittle. Unfortunately, your hair also loses its natural color, turning to gray, and then to white, leaving you looking more mature than you might like. When any of this happens to you, it is time to search for hair care formulas, such as the ones presented in Oscar Blandi Products, so that you can restore your hair's natural beauty. Each of the existing Oscar Blandi Products has been developed by a celebrity hairstylist (Oscar Blandi), who is familiar with everything there is to know about hair. He blends modern technology and ingredients with time-honored traditions to create distinctive formulas that deliver high performance. If your hair no longer shines in the way that you prefer, consider bringing it back to life with a suitable formula from the following selection of Oscar Blandi Products. Designed to instill a bit of Italian tradition along with modern ingredients, Oscar Blandi Products provide exceptional formulas. Are you bothered with frizzy hair that no longer glistens with a healthy shine? If so, you may want to try the lightweight formula of Oscar Blandi Jasmine Oil Hair Serum. It helps to give your hair renewed definition and long-lasting brilliance. Its pleasant fragrance can substitute for your regular scented product, and you can use this hair serum safely throughout the day for necessary touch ups. Cover up the gray in your hair with this convenient-to-use Oscar Blandi Pronto Colore Pen Neutral Brown. Drying in only minutes, its color stays in until you decide to wash it out. You can use this touch-up pen anywhere to give your hair a quick enhancement of its color. Suitable for all hair types, this touch-up pen for hair offers a convenient way to hide the gray that makes you look and feel older. Use only the amount that you need to touch up your roots with this easy-to-use accessory. Offering a paraben-free formula, Oscar Blandi At Home Salon Glaze brightens your hair easily and successfully, creating fresher looking hair with a minimal effort. Delivering a clear solution that does not alter the color of your hair, this rinse is suitable for both natural hair and color-treated hair. Infused with vitamin E, this brightening formula provides protection against environmental damage, while also smoothing your hair cuticles with its inclusion of castor oil as one of its essential ingredients. It also contains nourishing botanical emollients that aid in keeping your hair fresh looking all day long.